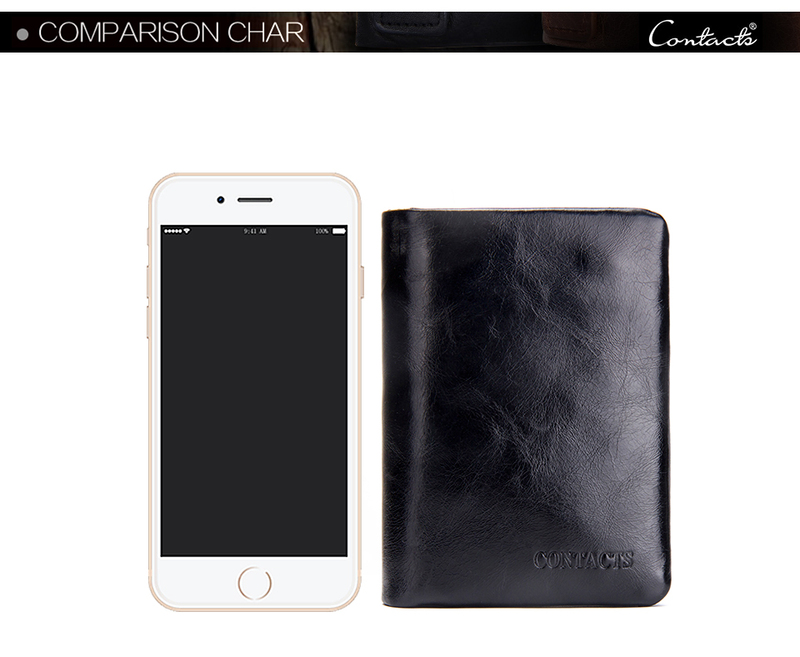 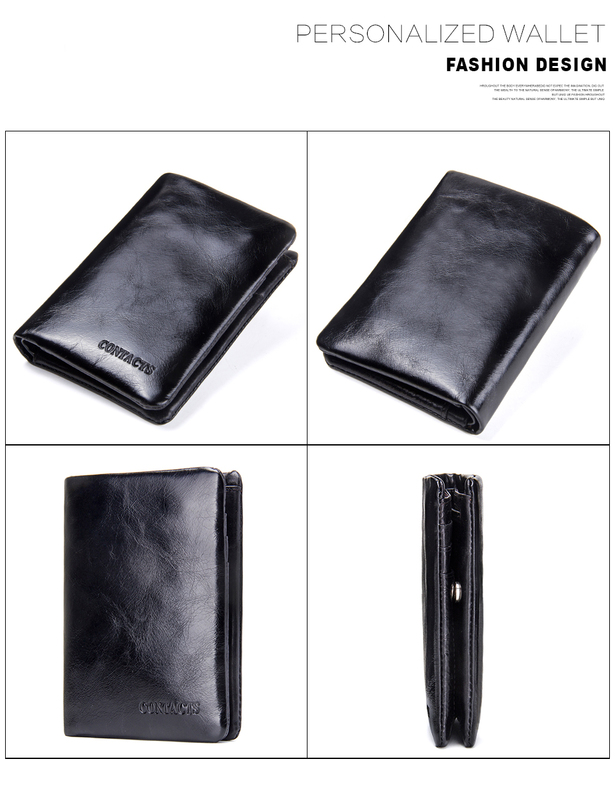 Bifold wallet with Snap Button Closure is made of Oil Wax Genuine Cowhide Leather wallet; Lining is Polyester. 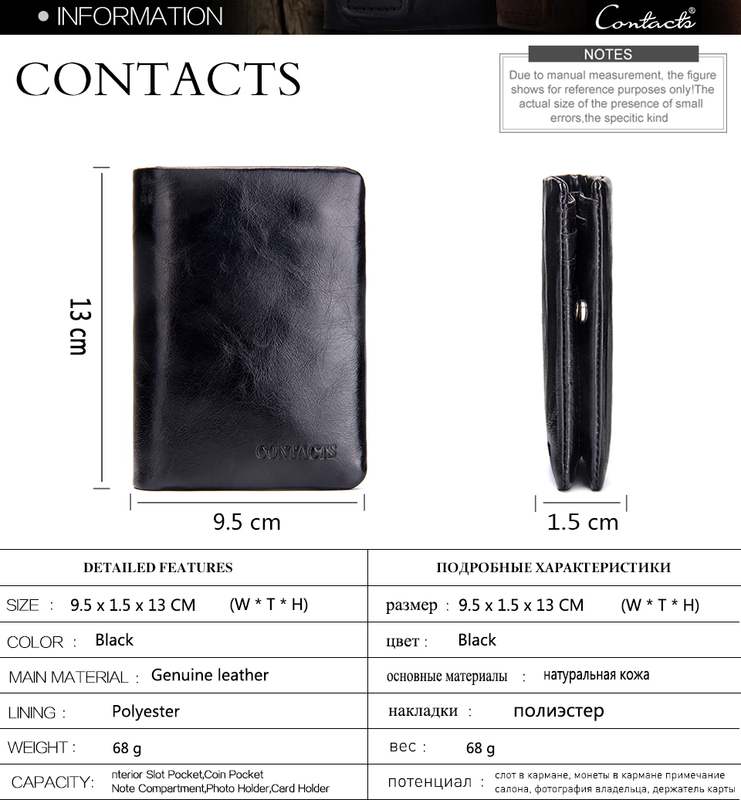 Size: 13 x 9.5 x1.5cm It is extremely convenient to be carried around in your front or back pocket. 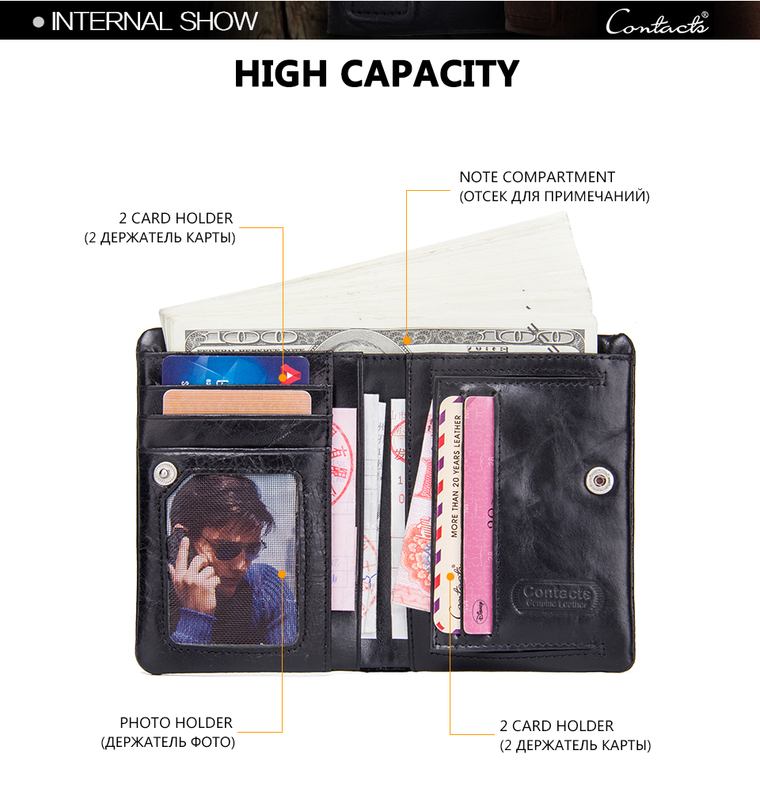 1 Large bill compartment for receipts or Cash, Bill and 1 Zipper Pocket Inside for coin or Cash. 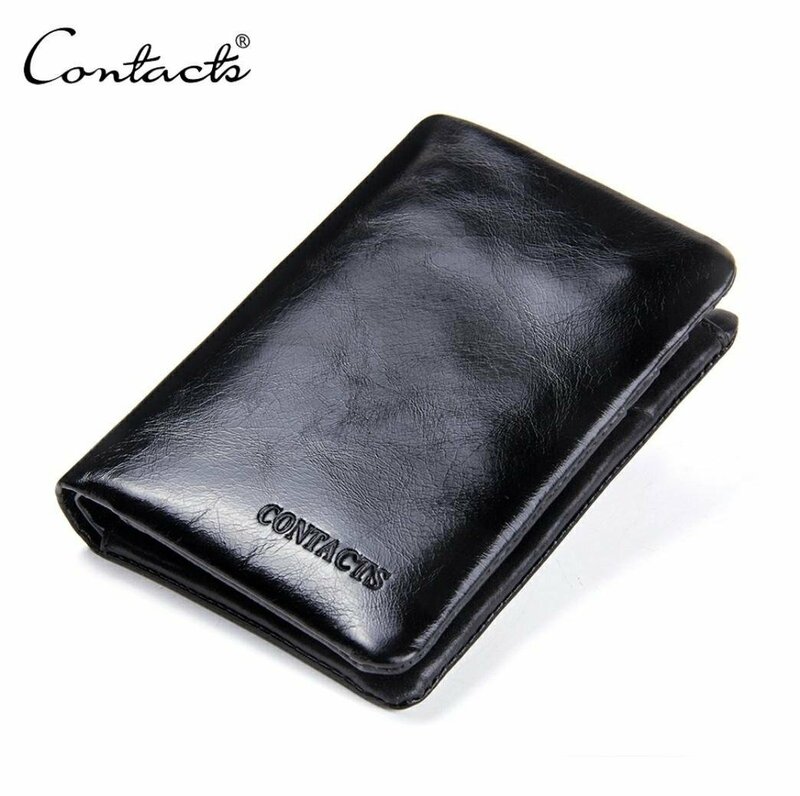 It is a great present for a birthday, anniversary, Valentine’s Day, Mother's Day, Father’s Day, Christmas, New Year or another significant event.